In the wake of a major court victory, the mother of Korryn Gaines, Rhanda Dormeus, wants people to know exactly what happened to her daughter. 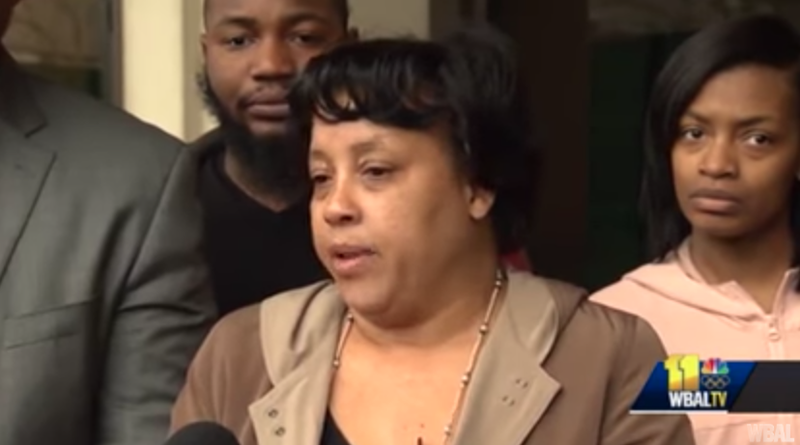 In a sobering interview with Baltimore Beat, the grieving mother makes clear that family members tried multiple times to intervene and to de-escalate the situation between Gaines and police. That police were aware that Gaines was having a breakdown. That the profound pain Dormeus feels following her daughter’s death has left “no room” for anything else. “We won’t be right for the rest of our lives,” she says. Gaines’ family was awarded more than $37 million in damages last week after a six-woman jury found that the police response to the situation was not reasonable. Gaines was fatally shot by police in August 2016 following an hours-long standoff at her home; they had come to serve a warrant to Gaines for a traffic violation, and to her fiance for an alleged assault. In the exclusive interview, Dormeus reveals that Gaines suffered from lead-paint poisoning and that she battled depression throughout her life. A retired psychiatric nurse, Dormeus also tells the Baltimore Beat that officers were made aware that Gaines was likely having a breakdown. She and other family members “begged all day” for officers to let them speak to Gaines to de-escalate the situation, but they were told that to do so would be “against protocol,” in her words. Dormeus also called Gaines’ doctor and had her on the phone ready to talk to police, but they refused to speak to her. Editor’s note: This article contains social media posts that some may find offensive. Gaines’ son, Kodi, was shot by the police in the arm. Initially, the Baltimore Police Department claimed that Gaines was responsible for the child’s injury. He’s faced with a lifetime of therapy and all of these outcomes for this type of trauma, drug abuse, suicide, lack of being able to take care of himself from depression. He suffers from anxiety, night terrors, he’s become aggressive, which was never in his character. He’s physically abusive, he’s lying, something that was never tolerated. My oldest daughter told me he has turned dark. He’s not an average six-year-old like he should be. When you know a child pre-trauma and now have to deal with him post-trauma, it’s not just a shock to the child, it’s a shock to his caregivers. You’re faced with these new challenges for something that was out of his control. In the aftermath of her daughter’s death, Dormeus has turned to these unfathomable sisterhoods: groups of mothers who have all lost their children to violence. There is even one specifically for mothers who have been affected by police violence, the Coalition of Concerned Mothers. An attorney for Baltimore County says that the county is considering filing an appeal against the verdict.